Our EB member Nicholas Aldred from the Newcastle University in Newcastle (UK) participated on the Bioinspired Materials Conference on 10. October 2018 in Manchester (UK). 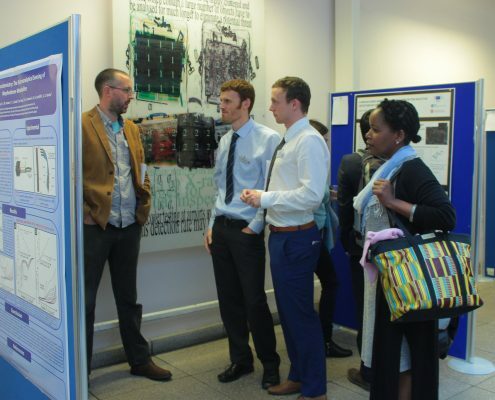 The aim was to “bring together the scientific community in the field of biomimetic sensors, materials chemistry, 3D-printing and tissue engineering”. 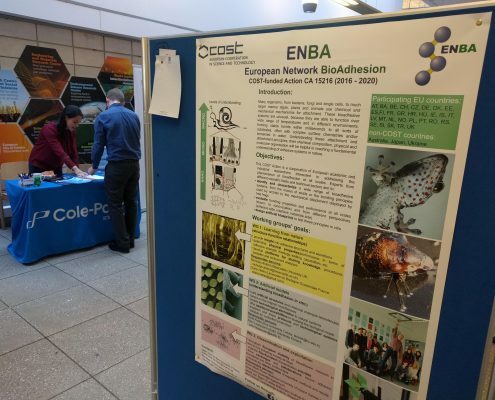 At this meeting Nick solitary presented our ENBA poster and explained interested participants the aim and scope of our network.